Download our guide to learn the common causes of failure and how to combat them. Strategic planning is a combination of art and science. As strategic planning consultants, we are often brought in after management experiences an epic failure from their own effort in leading strategy development. It is from this vantage point that we have compiled the most common reasons why well-intended efforts can produce such poor results. 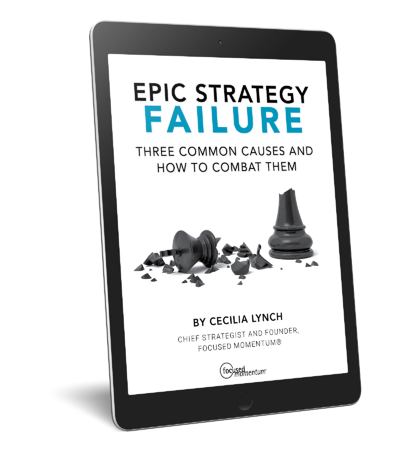 These issues are often the most common causes of the horrendous failure rates in strategic planning efforts: they currently hover in excess of 80%, and that is an improvement! Download this eBook now, and prepare to lead your next planning effort with greater confidence.